Subsea Equipment Associates, Limited (SEAL] is an international consortium owned by British Petroleum, Compagnie Française des Petroles, Groupe Deep, Westinghouse Electric, and Mobil Oil Company. The consortium has developed two subsea production systems—the SEAL Single-Well Completion and the Multiple-Well Manifold/Production Station. The single-well system is designed for individual wells drilled vertically with production rates ranging to 10,000 barrels/day. It is suitable for step-out wells at moderate depths or for complete field development in deep water. The multiple-well system is intended for use where directional drilling is possible. A number of wells are drilled around the periphery of the manifold/production station through a base template. Wells are connected to the enclosure by a special wellhead connector assembly. The manifold/production station may also be used strictly as a manifold station for fields developed by widely spaced, vertically drilled wells. The single-well system is a remotely monitored and controlled subsea Xmas tree consisting of two assemblies set on a specially constructed base. The lower assembly is called the master valve assembly and the upper one is the production control assembly. The modular nature of the system combines all shorter-life or highly stressed components into one module—the production control assembly—which can be retrieved by special tools from a surface support vessel. This category includes the equipment intended to remain permanently on the ocean floor. Except for original installations, the fixed equipment requires no attention during the lifetime of a well. Figure 4-1 shows an example of a permanent drilling base, which is the condition of a wellhead when drilling operations are completed. A special landing base is installed on the drilling base and is sealed permanently to the casinghead profile. It forms the lower nonremovable portion of a manned intervention system, and provides the mechanical support and sealing surface foT the Manned Work Enclosure (MWE) shown in Figure 4-2. This base also provides support and first-order alignment for the internal guide structure as indicated in Figure 4-2. Collectively, the fixed equipment incorporates a drilling base, a landing base, a connector, and guide structures. The master valve assembly consists of the lower master valve, an annulus access valve, and a flow-line isolation valve. Presently, it is manually installed and removed using a manned intervention system. The valves can be actuated either manually by operators in the MWE or remotely by means of a handling tool. This assembly provides the means of shutting-in the well and the flow lines for removal of the automated production control assembly. Fig. 4-1 Permanent drilling base. a conventional Xmas tree. It also includes the male half of an electrical wet connector which will transfer power and control to the production control assembly. 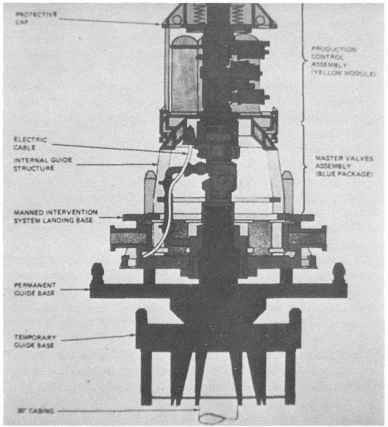 The lower master valve package is run suspended inside the MWE (Figure 4-2) which is landed and sealed onto the permanent base previously described. A three-man team is sent down in a personnel transfer chamber which mates onto the control room of the work enclosure. Their job is to winch down, connect, and test the master valve assembly on the drilling wellhead, and to hook up the internal flow line and electrical cable between the base and the master valve package. This assembly groups together all components which are more subject to wear and will most likely require adjustment, repair, or replacement, such as remote-controlled wing valves, chokes, hydraulic and electronic equipment, sensors, etc. This assembly constitutes the upper portion of the Xmas tree plus auxiliary control systems such as hydraulic, electronic, and electrical distribution subsystems. The production control assembly can be installed on the seabed, then lateT removed and replaced (as required) in a sequence of operations performed by a special handling tool without the need for direct human intervention. Once installed, the various functions of the assembly are remotely monitored and controlled by means of a telemetry system connected to a surface control station by a subsea electrical cable. A prime design requirement was to minimize the overall size and weight of the assembly and the individual capsules it contains. These include the hydraulic power capsule, a downhole safety valve control capsule and hydraulic reservoir, and telecommunications and electrical power. Power requirements, which are low, are supplied from the nearest platform or shore base by a cable, which also carries the telecommunications. The assembly measures about 8 feet in diameter, 10 feet high, weighs approximately 15 tons, and was designed for an operating depth of 1,200 feet. In line with its design philosophy, the production control assembly was built for a 2-year operating life. At the end of the 2-year working period, the complete assembly is retrieved and a new or refurbished unit is installed in its place. The retrieved assembly is then completely overhauled for use elsewhere. The handling-tool assembly consists of three basic components: the handling tool itself, the reentry system, and the riser, A special handling tool was developed to transport the production control assembly from the surface support unit to the seabed and to install it. During the landing operation, the handling tool provides mechanical protection for the control assembly, absorbs the shocks of landing, and subsequently carries out first order alignment required with the lower master valve assembly. the final approach and reentry itself. This unit is also controlled from the surface. SEAL's manned backup systems provide air at atmospheric pressure over the subsea wellhead to enable oilfield specialists to work under simulated surface conditions. These men install the master valve assembly, the flow-line connections within the base, and the electrical cable connections for remote control of the production control assembly. Fig. 4-4 SEAL manned system. fer chamber, also shown in Figure 4-4, which transfers the operators from the support vessel to the MWE. 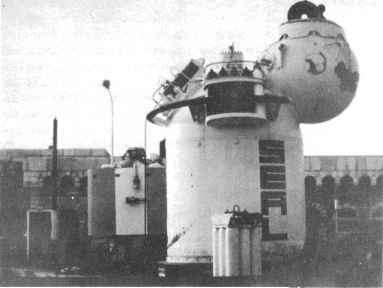 The PTC is an atmospheric diving chamber featuring a buoyancy-control system and a propulsion system. It is linked to the support vessel by an umbilical which provides electrical and hydraulic power. The PTC is lowered and mated to the top of the control room of the MWE, where the men transfer to perform the required tasks. Breathable air and electrical and hydraulic power are supplied to the MWE throughout the operation. After the work is finished, the PTC and MWE are sequentially retrieved to the surface support unit. During development of the single wellhead completion, it was apparent that there would be a number of subsea production conditions where only occasional well maintenance would be required. 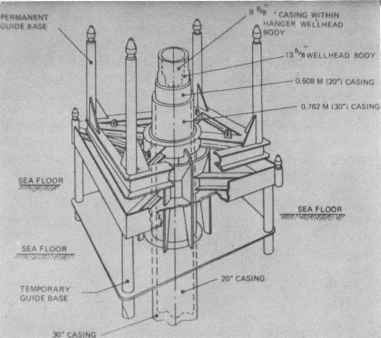 For these cases, the SEAL bell (shown in Figure 4-5) was designed as an alternative manned backup system essentially for use with conventional subsea wellheads. 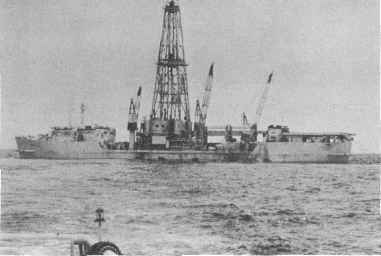 The SEAL bell is lowered over the wellhead, then dewatered. Maintenance personnel are carried from the surface in the bell's control room. After a seal is made from inside the work chamber, men can enter to perform the maintenance required on the subsea completion. This system has been designed to accommodate either conventional subsea Xmas trees, or a specially designed SEAL Xmas tree comprised of a master valve assembly and a simplified production assembly containing essentially only wing valves and power and communication capsules. The SEAL bell system is particularly attractive in depths from 150 to 450 feet. A prototype has been built and tested. 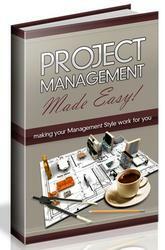 What is base master in offshore work? How to design a subsea drilling template?